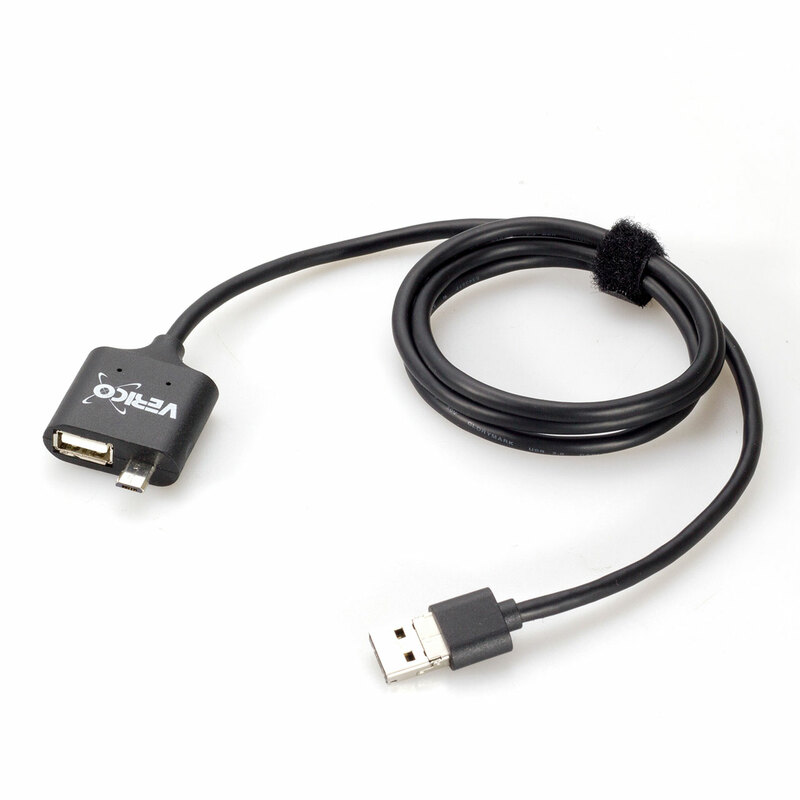 USB All in One Cable(1.2 m) – Verico International Co., Ltd.
Powered by 22AWG, Verico Micro USB Multi-Function Cable is having 30% higher charging speed as compare to normal cable. 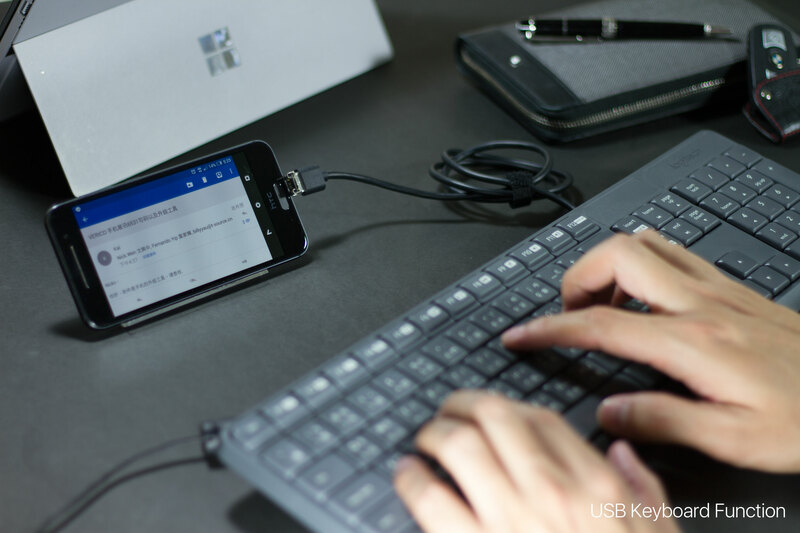 More than just the efficiency, it is also the most powerful cable which is capable to perform multiple function which almost covered the entire range of Data Transfer, Inter Transfer, Charge, Inter Charge, OTG or even extension between different USB devices or interfaces. 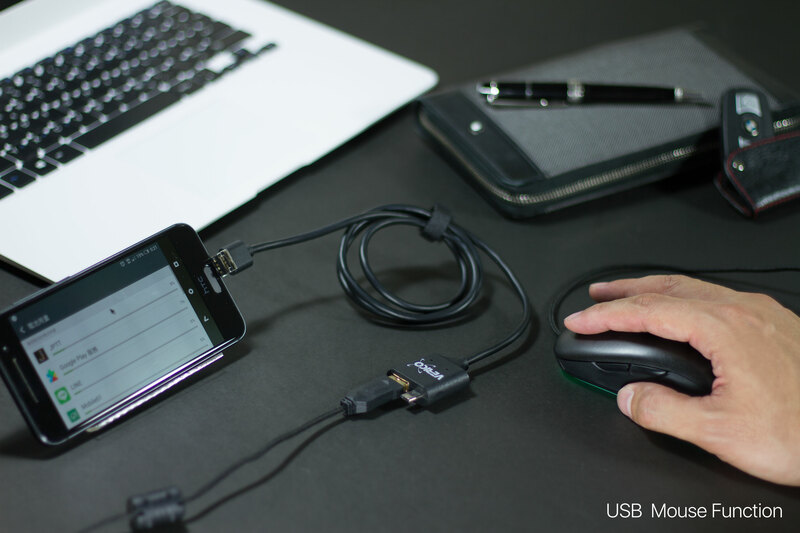 Patented 3 in 1 interfaces (Micro USB + USB 2.0 Jack + USB 2.0 Pin), it is almost everything you need to perform all USB power charge or data transfer activities including inter-transfer or inter-charge even mobile to mobile. 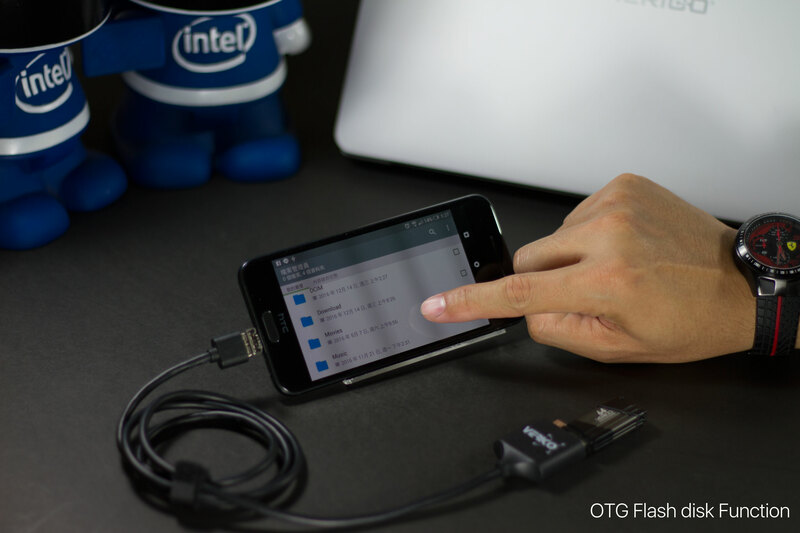 More than that, it is also an OTG or USB Jack Cable for all Mobile, Tablet and PC. 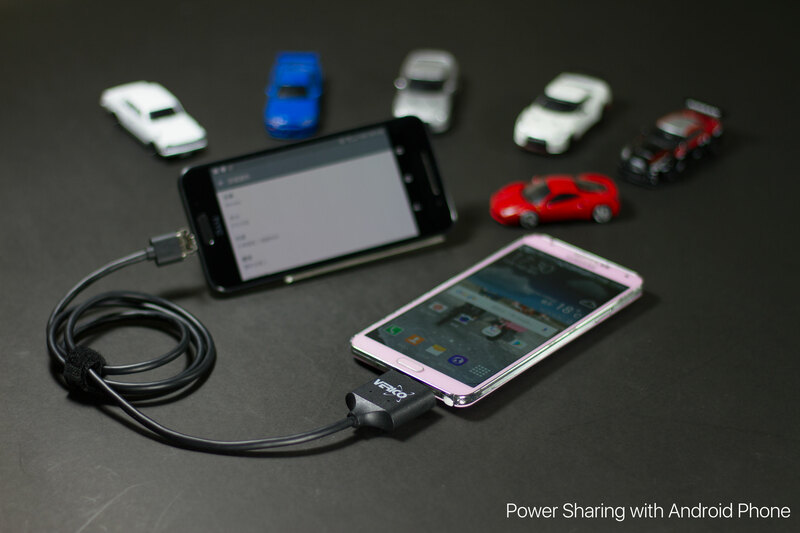 Often facing problem of storage shortage in your mobile? 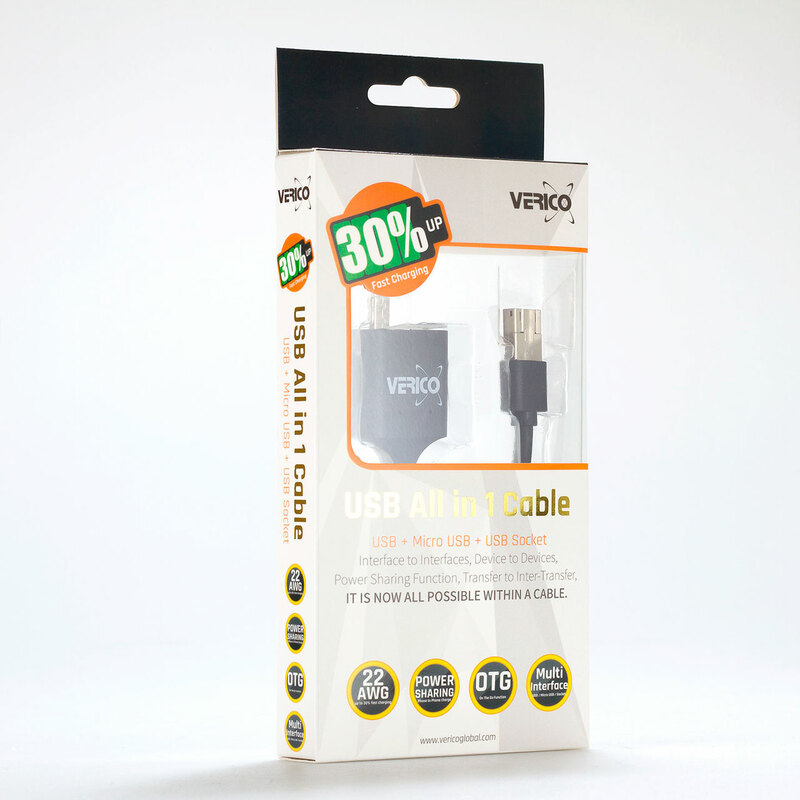 Verico Micro USB Multi-Function Cable comes with USB 2.0 Jack which allows you to store your mobile data to USB Drive or PC with fast data transfer rate. 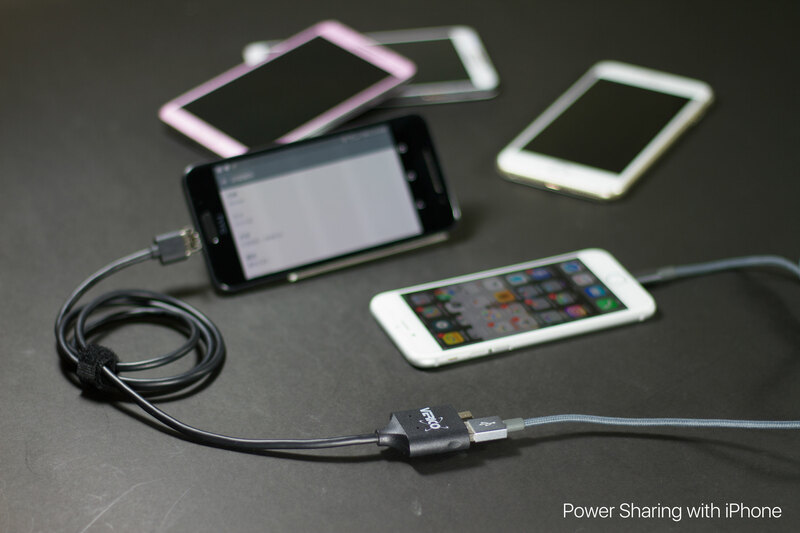 No matter it’s for daily or business use, a cable that is capable to do all. 22AWG, Copper Core Wire, Aluminum Foil Braid. 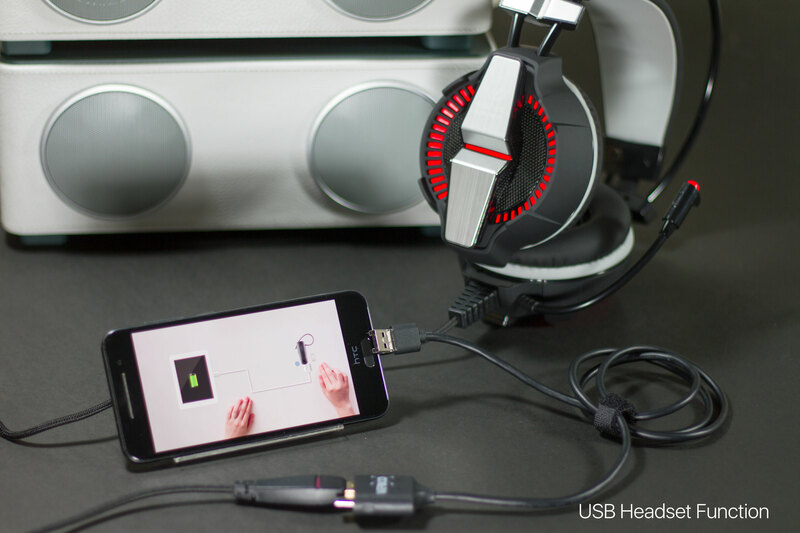 Highest standard of performance and safety design which even with high current rating adapter will also have no problem.